Taking a plane, train or car anywhere for the holidays? Have kid(s) ranging in age from 4 - 10? 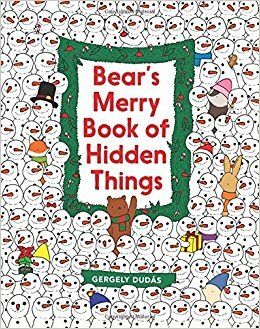 Then Bear's Merry Book of Hidden Things by Gergely Dudás is a MUST! 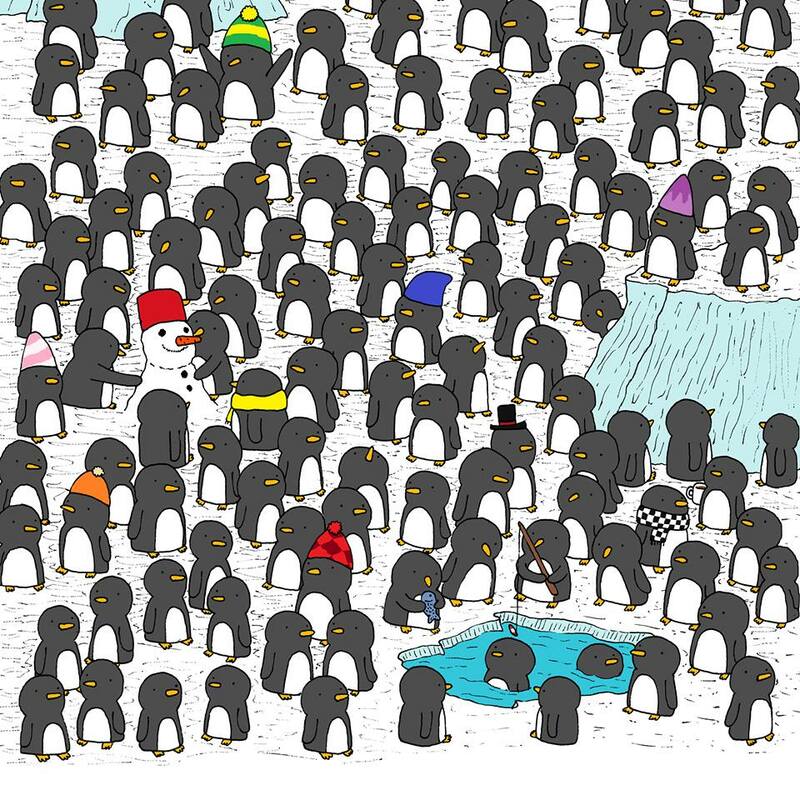 More than most look-and-find books, Bear's Merry Book of Hidden Things has a narrative. Bear has invited all his friends to a special holiday party and needs to shop and decorate. Readers follow Bear through all the preparations, from shopping the Christmas market for gifts, cards, cookies, hats and mittens to picking a tree, hanging lights and picking candies and baked goods to share. Dudás's illustrations are charming and colorful. I especially love the page filed with happy hedgehogs where Bear is looking for a pinecone. Dudás's gift for hiding things is masterful - this book is not easy! Try finding the turtledove amongst the snowmen or the mug of hot cocoa hidden amidst penguins. 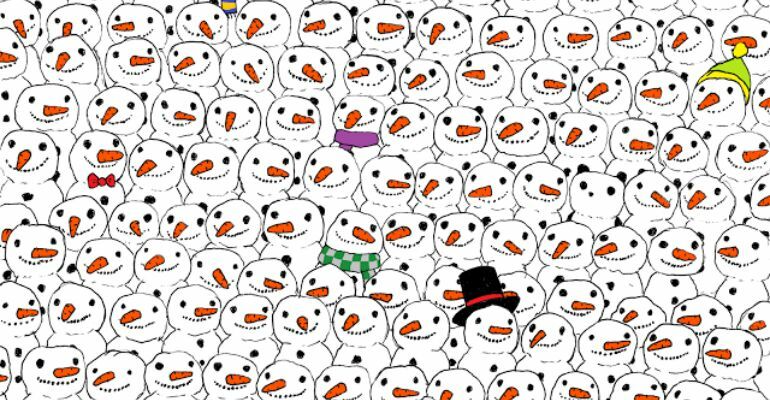 Bear's Merry Book of Hidden Things is well worth the cost, even if you aren't taking any long trips with your kids!